Diana shares her nutritious immune system boosting recipe for Chicken Soup. Full of minerals and herbs such as Astragalus for boosting your immune system. Diana adds Kombu Seaweed as it is rich in Vitamin B1, Calcium, Magnesium, Iron, Potassium, Vitamin A and Iodine. Stay Healthy My Friends! Miso soup is quick and easy to prepare; it is often ready to serve within 5 minutes. Almost any ingredient goes well in it. The hearty aroma of miso soup is as appetizing as that of coffee while its mellow, subtly pungent flavor and low calorie warmth help to start the day off right. By alkalizing the blood, miso soup is said to wake up the nervous system and offer abundant nourishment, stamina, and energy that last all morning. An aid to digestion and assimilation, it is also said to relieve acid indigestion and settle an upset stomach. 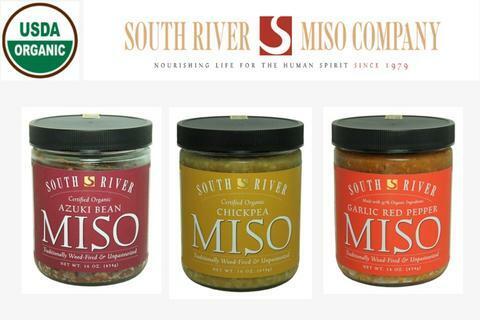 When cooking with South River Miso it is important to remember that it is a living food. Each teaspoonful contains millions of active microorganisms which are beneficial to the dynamic digestion and assimilation of all foods. To gain the full benefits of miso as a preventive medicine as well as a nourishing food, it should not be boiled or subject to prolonged cooking which diminishes its flavor and healthful benefits. When seasoning with miso, cook the main ingredients of the soup first. Then reduce the flame to simmer. In a separate bowl mix the desired amount of miso with a soup ladle full of the cooking liquid. This will help to evenly season the soup. Return this diluted miso to the soup. The taste of miso soup should be neither too salty nor too bland. The amount to use is determined by individual taste, but usually 1-2 teaspoons per cup of soup is a good measure. You can start by adding a small amount, then more if needed, but not so much that the soup tastes too salty. Miso should enhance the flavors of the soup but not overpower them. Once miso has been added do not allow the soup to boil, but let it simmer for 3-4 minutes as the flavors mingle. Now your miso soup is warm and ready to serve with its life-giving forces intact.